Cameron Post (Chloe Grace Moretz) is a teenage girl engaged in a secret romance with her friend Coley (Quinn Shephard) that abruptly ends when her boyfriend catches them together in a car at their prom. She is sent to a remote therapy center, where she meets the kindhearted Reverend Rick (John Gallagher Jr.), who describes himself as having overcome his own urges, and the less forgiving Dr. Lydia Marsh (Jennifer Ehle). 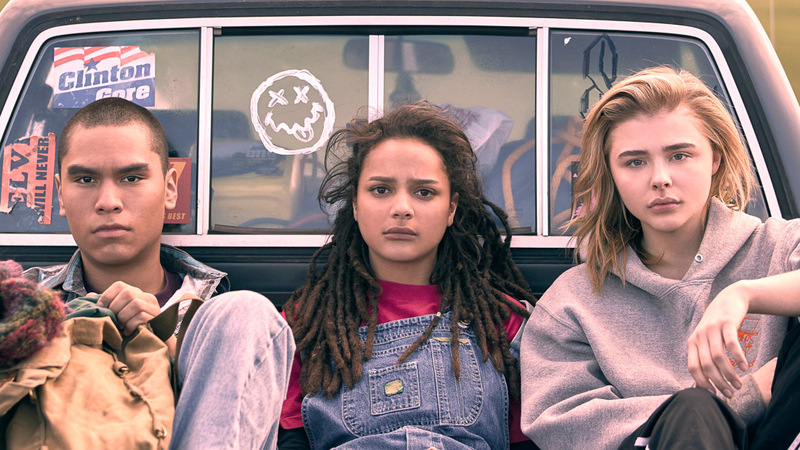 She finds some refuge in the friendships she makes with Jane (Sasha Lane) and Adam (Forrest Goodluck), the only two people who seem not to buy into the smothering program they have been forced to attend, as she tries to act compliant while being told that there’s something wrong with how she feels. This is a subject that is surely very difficult for those who have been through it and come out the other side without being brainwashed to watch, but the way in which it’s presented is mostly comedic. Director Desiree Akhavan’s first feature was the 2014 Sundance NEXT entry “Appropriate Behavior,” which followed an Iranian-American bisexual woman navigating her sexual orientation in her culture, and this is a very interesting and noteworthy follow-up, adapting a popular novel by Emily Danforth into something relevant, engaging, humorous, and devastating all at the same time. Moretz was introduced before the screening of the film as a young actress, who, at age twenty, has already appeared in a number of films, and though this may be her most muted performance to date, she reacts as many might, trying to fly under the radar while refusing to give in and let her opinions be changed by forces she considers to be illegitimate and stifling. 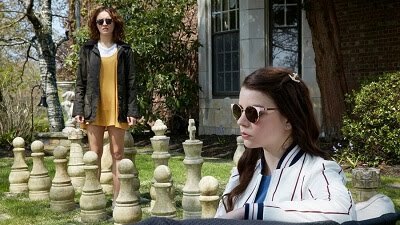 Goodluck and the recently prolific Lane complement her well, as does Emily Skeggs as her less resistant roommate, and Gallagher and Ehle make for believable oppressive adults. This film was a deserving winner of the U.S. Dramatic Competition Grand Jury Prize, telling a story that’s both entertaining and horrific at the same time, totally engaging and educational in its own way.